There's a variety of reasons why your design may appear blurry. The most likely scenario is that your resolution (pixels) is too low. Read the following sections to learn why your design may appear blurry and what you can do to improve the quality of your design. If you're viewing images on a Retina screen, you'll need to ensure that you're downloading at a high enough resolution. However, the extra pixels of the display means that your image must also be high resolution or it will look blurry. If you have a 400 x 300 image (120,000 pixels), you’d need to use an 800 x 600 alternative (480,000 pixels) to render it well on a high-density display. To fix blurry images on retina screens, we recommend using the “Retina” download options. This will automatically double the resolution of your image which will make it more crisp. You can also use our image resize feature to further increase the resolution. For more information on retina images, you can read this article. If you’re uploading your image to social media sites like Facebook and Twitter, they will automatically compress the image which will lower the quality. Unfortunately, this is out of our control. 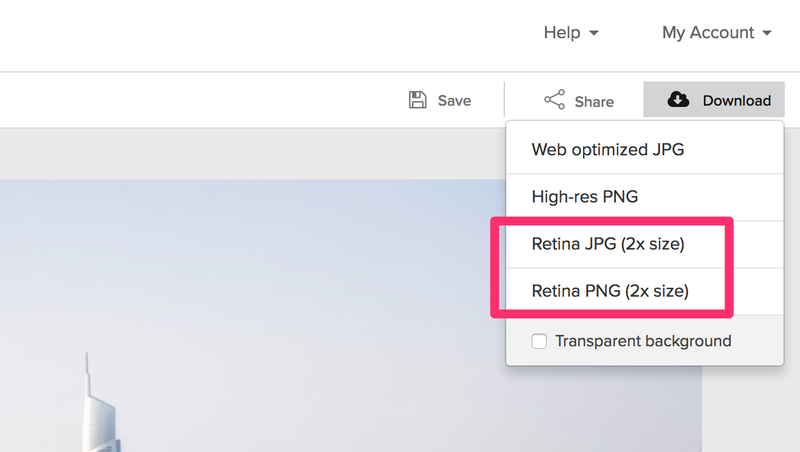 To get the best image possible on social media, use the Retina PNG download option. The quality of your design my also be affected by the file type that you choose. Each format has pros and cons so make sure to choose the one that best suits your needs. JPG: Ideal for photographs and realistic images. JPGs will generally produce the smallest file sizes but the lowest resolution designs. PNG: Ideal for line art, text-heavy images, and images with few colors. PNGs will generally produce the highest file sizes but the highest resolution designs. If you're strictly going for the highest quality image, we recommend downloading a PNG file.